The blog is back! For the first time since I started Kids' EBook Bestsellers back in November of 2010, I took a couple weeks off from posting. And now I'm ready to start the New Year off with a bang -- Mom's Choice Award winning author Jason Edwards! Jason's book, Will Allen and the Great Monster Detective, was in the Amazon top ten for children on December 1st and December 8th. Then I went on vacation and didn't keep track. But now that I'm back I see that it's still there, coming in today at number 6. Wow! Let's learn all about Jason's e-book success. First, Jason, tell us what your book is about. So how did you first get published: traditionally or independently? My path to publication was definitely non-traditional. Although I always enjoyed crafting stories, I only did so for my own amusement (kind of like singing in the shower – but for the getting water in your ears). I only began my path to publication when I was consumed by a grand inspiration that compelled me to share it with the world. That inspiration came from…a toilet. You see, when my daughter was very young, she was frightened by a loud, automatic-flushing toilet that flushed repeatedly as she was sitting on it. It may sound absurd, but she was traumatized so badly that she never wanted to return to the park where it happened. This fear took on a life of its own and grew to the point that soon she did not want to go to any park, or movie theaters, or restaurants, or any place she imagined might have a toilet like the one that scared her. My wife and I tried sending her to counselors, psychiatrists, therapists, psychologist, etc., to no avail. Since we could not FIND anyone who could help, I INVENTED someone instead – the Great Monster Detective. Amazingly, that seemed to help her, and I realized that there must be many other children (and their parents) who faced similar issues, and might also benefit from the services of a monster detective. This was what set me in motion to write the book Will Allen and the Great Monster Detective, and to pursue its publication. I initially sought out traditional publishers, but after two or three thousand rejections, I realized that I simply did not have the standing, either via a network of connections in the industry or a platform of potential readers ready and waiting to buy copies, to entice editors to even look at my book, much less publish it. It was then that I began down the path of the independent publisher. What top factors do you believe put your e-book where it is now? My kindle version of Will Allen and the Great Monster Detective is currently ranked as the #3 Children’s Literature e-book on Amazon, which qualifies it as being remarkably successful for an independently produced work that has had very little marketing muscle behind it. I’d love to say that this is because the book is so wonderful that no one can resist reading it (Which it IS). 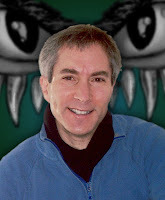 I’d also love to say that it is because of my clever and inventive marketing efforts, including my MONSTER HUNT program that I have performed at well over a hundred schools, libraries, and book stores across the country. I am quite certain that these have contributed to the book’s success, but to be honest, I think that price has also been a major factor. Let’s face it – providing readers with an e-book costs next to nothing, so the price need not reflect recouping the cost of production. Determination of price is solely a marketing decision, and the fact that many e-books cost nearly as much as their paper counterparts reflects a pricing policy on the part of publishers that is intent upon reaping the most dollars possible. This is perfectly sensible – we are all trying to make money in this business - but it may not be the best way to build an audience. 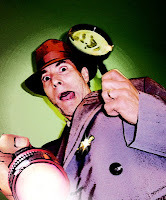 My books, especially the first volume in the Chronicles of the Monster Detective Agency series, are priced far lower than the norm in order to attract readers, with the intention of getting them hooked on the series, and thus interested in purchasing succeeding volumes. How are people finding out about your book? Tell us about your marketing and use of social media. My book series began as early chapter books intended for the 7-13 year old reader, and as such, they are aimed at a difficult market to reach. Most kids this age are not yet using social media (MY 12 year old is not on Facebook, but my 17 year old is). Because of this, the website and the Facebook page I produced for the Monster Detective Agency have received scant attention. My most successful marketing tool has been my personal appearances at schools, libraries, and bookstores. These appearances are always distinctive, unique, and memorable for all involved. You see, it never appealed to me to come in to a venue and lecture kids (and I don’t think it appeals to the kids either), so I brainstormed about what kids would like, and about what my potential hosts would find appealing and valuable. It was my determination that kids wanted to have FUN (brilliant, no? ), while my hosts, the librarians (both school and public) wanted kids to learn research skills – the ability to find books in the library all by themselves. So I created an educational program in which children would have an exciting adventure and develop library skills without even realizing it. I created the MONSTER HUNT. This program has proven so successful and popular that I have performed it at over a hundred schools and libraries across the country, and I have many libraries that commission me to perform for them year after year. What is your target audience, and how do you believe the e-format works for that audience and serves their needs? 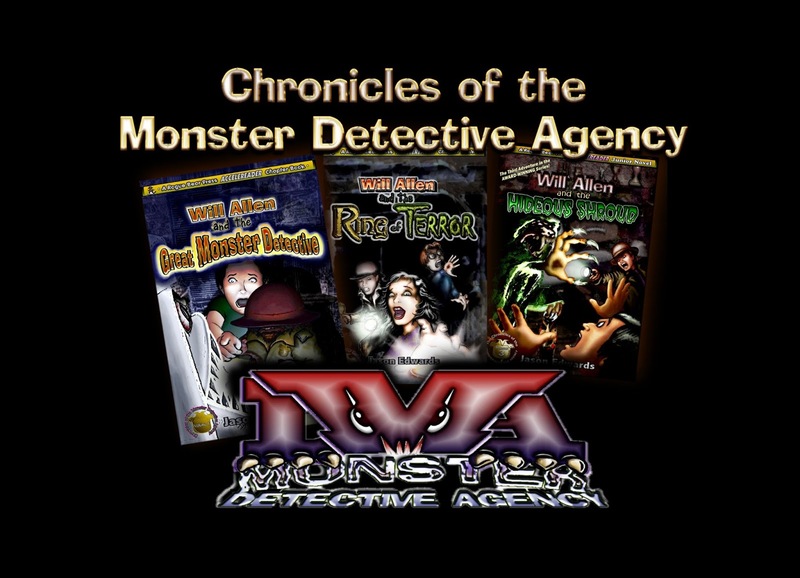 My Chronicles of the Monster Detective Agency series begins as an illustrated early chapter book, suitable for children between the ages of 7 and 13. As we progress through the series, the books grow longer, and the reading level progressively more challenging – as the readers (and the characters they read about) grow older, the books grow with them. The conclusion of the series is in the length and format of a YA novel. Kids of these ages are in transition – they are just about to leave the ‘Leap Pad’ age but are generally not yet at the ‘Kindle’ age, which is to say, they are between the ages in which they enjoy picture books with interactive content and the ages in which they like to read text-only content. As such, they are a difficult group to market an e-book to. More and more, tablet computers are providing e-book apps with interactive content features for this age group, and I believe (though I do not yet have one developed for my books) that this trend will grow, as it eases the transition for these readers, and provides additional content that makes e-books potentially more appealing than their paper counterparts. Do you believe the e-format helps or hurts you as an author? Do you believe the e-format helps or hurts your readers, specifically children and/or young adults? I believe that the e-format has helped me in that it has provided a way to reach a huge, wide audience that might otherwise be beyond my means. Just today, I received a fan letter from a girl in Vermont – and I have never BEEN to Vermont, nor, to my knowledge, have any bookstores in that state ever carried my books. Similarly, I believe that the e-format has helped my readers, who might otherwise have found my books unavailable or inaccessible in their local bookstores. To date, I have sold copies of my books at performances in states all across the country including California, Alabama, Arkansas, Florida, Georgia, New York, New Jersey, Connecticut, Louisiana, and Massachusetts. Readers that have been enthralled by what they have read might find access to the sequels difficult but for the availability of the e-book versions. 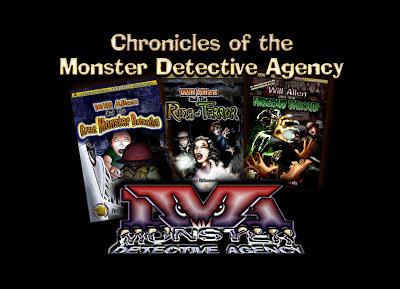 Learn more about Jason and his books at MonsterDetectiveAgency.com, the book's Facebook page , and the Chronicles of the Monster Detective Agency book trailer. And don't forget to check today's Kids' EBook Bestseller list for more interesting authors and their fantastic ebooks for children and young adults! Karleen Tauszik started the Kids' EBook Bestseller blog in November, 2010. She loves to cheer on authors who have found success in e-publishing. Visit her website at KarleenT.com. Karleen Tauszik is the author of e-books for Ages 8 - 12, all available at Amazon.com. Old McDonald Had a ... Bestselling E-Book! E.D. Baker: Once Upon a Top Ten Kindle List!